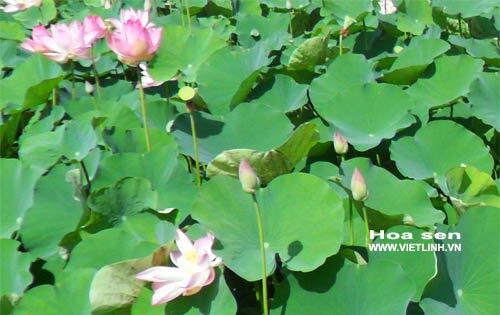 At this time, in areas around Tram Chim National Park, Vietnam, many lotus fields bloom brightly and attract visitors. For nearly three years, the agricultural sector of Bac Lieu Province has focused on building its own “farmed shrimp” brand. The sector helps cooperative groups improve the quality of their shrimp products by encouraging the application of VietGAP, ASC, and BAP standards. With production chains connecting farming and consumption, Bac Lieu Province has more than 1,400 hectares of shrimp farming. The output of these areas is always pre-ordered by seafood businesses. Shrimp-farming cooperatives in the province also thrive to meet clean standards for their products. Members of these cooperatives are able to earn high profit while raising their own awareness of clean farming practices. This is the first step to build a foundation for a strong brand of Bac Lieu's shrimp, especially “clean shrimp” with traceable origins produced by small-scale farmers. Thereby, the province can gradually improve its production by increasing its capacity and competitiveness in domestic markets as well as international markets. In order to achieve an export turnover of $4.2 billion for shrimp products in 2019, leaders of the agriculture and rural development sector suggests that it is important to focus on restructuring the shrimp industry. Specifically, shrimp farming should be developed in the direction of building cooperation and value chains that link production with consumption. In particular, management agencies need to strengthen quality control of breeds, shrimp post-larvae, facilities, materials and product quality. Management agencies, businesses, and farmers need to build a brand of Vietnamese shrimp towards ecological and organic production, along with food quality, safety and high value in international markets. Doan Van Truong in Chieng Bom Commune, Thuan Chau District, Son La Province created a breeding model that is suitable to the local conditions. This model includes a stilt house with a water pond under the floor for duck farming. During the day, the ducks can swim and find feed in pond. At night or when they lay eggs, the ducks can stay at the stilt house. This farming method is easy for farmers and saves them labor costs. Thuan Chau green-neck duck is farmed in Doan’s model. The species is famous for its delicious meat and popular among consumers. Moreover, this is a native duck to the local, so it is easier to raise and care for compared to other duck species farmed in this region. From 36 original ducks, Doan is now having 3000 ducks so far, including ducks farmed for meat and ducklings. His supply provides enough sources for the market of Thuan Chau District and nearby districts in the region. He earns a stable interest of 150-200 million of Vietnamese dong/year. At this time, in areas around Tram Chim National Park, Tam Nong District, Dong Thap Province, many lotus fields bloom brightly and attract visitors. Interestingly, next to lotus fields of Phu Xuan Hamlet, Phu Duc Commune is the appearance of thousands of rare Asian openbill storks. They fly and land on these newly harvested rice fields to find food. A rice variety in Vietnam has a saline resistant rate of 5‰. This is a unique rice variety successfully created and bred by Le Van Chinh, Director of 9 Tao LK Rice Cooperative in Song Loc Commune, Chau Thanh District, Tra Vinh Province. The rice has purple stems while its seeds are long with a golden color. Seeds are covered with white skin. According to the owner of this rice variety, it can tolerate a salinity level of 5‰. Even with the highest salinity rate of 5‰, the rice variety can still grow normally and provide high yields. In freshwater conditions, its yield can range from 7 to 9 tons/hectare each crop. Asia Coconut Processing Joint Stock Company in coordination with authorities of Tan Trung Commune, Mo Cay Nam District, Ben Tre Province held a ceremony to announce a material area that produces ​​ organic coconut certified with the USDA – NOP.EU standard. This standard meets the requirements for export to the U.S. and Europe. The material area includes 320 hectares of coconut with 478 farming households participating. This area of ​​organic coconut was built from August 2018 to March 2019. Participating in the model, farmers apply an organic farming process without the use of chemical fertilizer and pesticides. The certificate has a term of 4 years and is re-evaluated each year. Currently, Tan Trung Commune has 1,115 hectares of coconut. Of which, more than 370 hectares are certified with organic standards. Recently, many supermarkets in Ho Chi Minh City have started to use banana leaves to pack vegetables, tubers and fruits instead of using plastic packages. In the Central region, the Co-opmart supermarket chain has promoted environmentally friendly products by using banana leaves to pack clean vegetables at its supermarkets in Quy Nhon and Quang Nam since April 1, 2019. The use of banana leaves helps fresh produce last longer than plastic packages and supports local farmers to earn more incomes from the sale of leaves. According to some local residents, within 4 days, from March 29 to April 1, wild elephants continued to appear in Hamlet 5, Thanh Son Commune, Dinh Quan District, Dong Nai Province. They destroyed many gardens, fruit orchards, and caused great damages. These residents said that there were about 7 elephants came out of the forest, including 2 calves. Wild elephants with the lack of food and water in dry seasons often come to agriculture fields and farms. This situation causes destructions in crops, houses, and anxiety for local residents.